Come out for FREE, family fun! 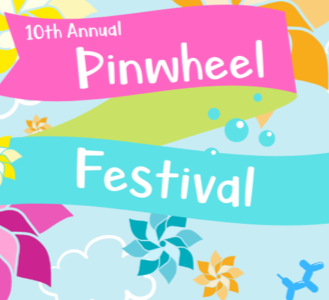 Held at Sevier Park in Nashville’s 12 South community, the Pinwheel Festival is a place where kids come to play, parents come to connect, and celebrate everything that is great about childhood! You’ll see local children’s groups perform, have the opportunity to make crafts and play games, and eat! Bounce houses, face painting, and puppets are just SOME of the fun things that PCAT has in store!. Parking: Free parking in the Nashville City Center. Weather Policy: This event will be indoors. Cancellation Policy: There is no Team Lightning registration for this event.